A very satisfying conclusion to the memoirs of Lady Trent. This was a genuine pleasure to read, due in no small part to the flawless narrative delivered in a Victorian-style Lady's fashion. Throughly recommended. I wasn't sure anything could top my love for IN THE LABYRINTH OF DRAKES. Boy, was I wrong! This was easily one of the best stories in the entire fantastic series. I honestly could have read more and more about it, since the twist took me completely by surprise, and I couldn't stop loving it. Watching the characters combine their passion for discovery with their love for adventure is one of the highlights of the book, as it has been in the entire series. This took those loves to new heights and unparalleled dangers. It's difficult not to discuss the twist that occurs at the middle of the book, but suffice to say, it's not what anyone will expect and will hook your interest until the very last page. There were scenes at the beginning that seemed to go nowhere, but turned out to be pivotal. I'm truly going to miss Isabella, Suhail, and Tom. Their enthusiasm and intelligence make them unique to the genre, and the lore of dragons is unlike anything I've encountered, especially in this particular book. 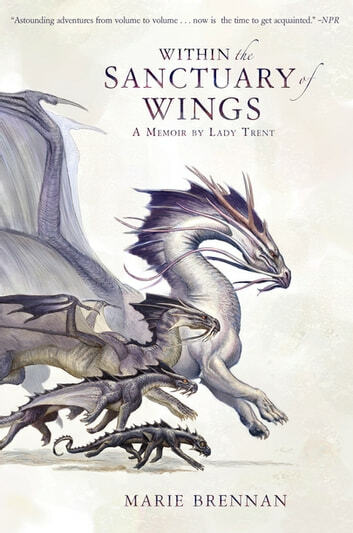 I truly believe these books need more love out in the world, and encourage everyone with a love of dragons, adventure, and intelligent and strong female characters. Seriously, pick the entire first book up and fall in love with this series as much as I did.